In the damp, dark shadows of your home lurks a quiet threat that has been present on this planet for millions of years. As long as there is some moisture, it can survive on almost any surface. While you may catch a slight hint of its musty, mildewy smell, it prides itself on its ability to remain unnoticed. All the while, it pollutes the quality of your air, slowly getting you and your family or coworkers sick. No, you do not have a science fiction monster living in your home (although it seems similar), what you do have is a mold problem and you’re in need of mold testing. At NOW Environmental Services, as a Certified Mold Assessment Consultant and member of the Indoor Quality Association (IAQA), we use the latest and most efficient mold testing and sampling techniques to identify the mold and educate our clients on what their dealing with as well as helping them come up with a solution. While having mold in your home or business won’t have you writhing on the floor gasping for air after the first breath you take, it does, however, have some adverse health effects over time. Some of which can be serious. 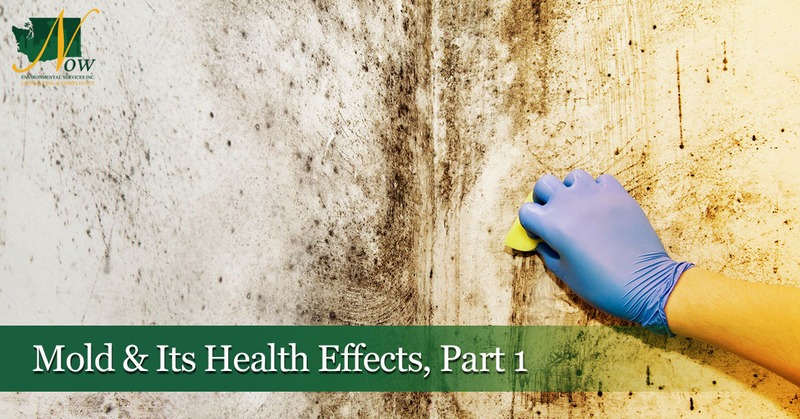 In part one of this blog about mold, we will discuss common household molds and some of the adverse side effects they may cause. Although there are countless types of mold, there are a few that are more commonly found indoors and are known to cause detrimental health consequences to those around. Aspergillus is a common fungus whose spores become airborne and, in turn, get breathed in by us. Commonly found on foods and in air conditioning systems, aspergillus can increase the symptoms of asthma, but isn’t known for causing illness in healthy adults. However, for those with weakened immune systems, inhaling the spores can cause serious health concerns. Aspergillosis is an infection caused by this mold that targets the respiratory system. While it varies from person to person, some of the symptoms of aspergillosis include an allergic reaction, the formation of a fungal mass in the lungs, or, in extreme cases, invasive pulmonary aspergillosis. This occurs when the infection travels from the lungs to organs such as the brain, heart, kidneys, or even skin. For those with severely depleted immune systems, such as those undergoing chemotherapy, untreated aspergillosis is often fatal. While most species of cladosporium are not extremely hazardous to humans, it is known to cause allergic reactions with certain people and also accentuate symptoms of asthma. Maybe the most well-known and infamous molds goes by a few names. Stachybotrys atra, stachybotrys chartarum, stachybotrys alternans, but the name that strikes fear in home and business owners worldwide is… black mold. Stachybotrys atra is a dark greenish/black fungus that is known to grow upon materials consisting of high cellulose content. This includes drywall, paper, fiberboard, and more. The growth occurs when there is high levels of moisture for an extended amount of time whether due to high humidity, water damage or leaks, flooding, or condensation. 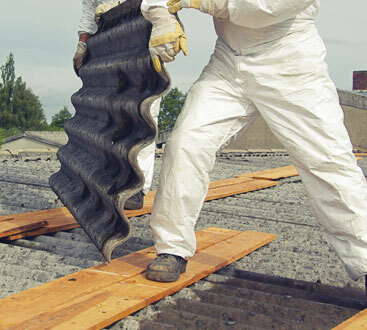 While it is difficult for its spores to become airborne, if the mold is damaged it can be released into the air and breathed in by the occupants. Maybe the most extreme symptoms of black mold are mental and neurological symptoms. When exposed to trichothecene mycotoxins released by Stachybotrys atra, neurons in the brain are killed impairing one’s mental ability. This can cause mood swings, depression, disorientation, and even hallucinations. Untreated, and with certain factors, black mold can cause death. While these are only a few types of mold commonly found indoors, you can begin to understand the danger of ignoring professional mold testing. In our next blog, we will guide you through some preventative measures to ensure your home is safe, and also what is involved when you hire our experts to inspect your home or place of business. NOW Environmental Services is proud to have assisted thousands of companies, schools, homeowners, and agencies solve their environmental and occupational challenges. If you have any suspicion of mold or have actually found some, be sure to contact us today and schedule an appointment.